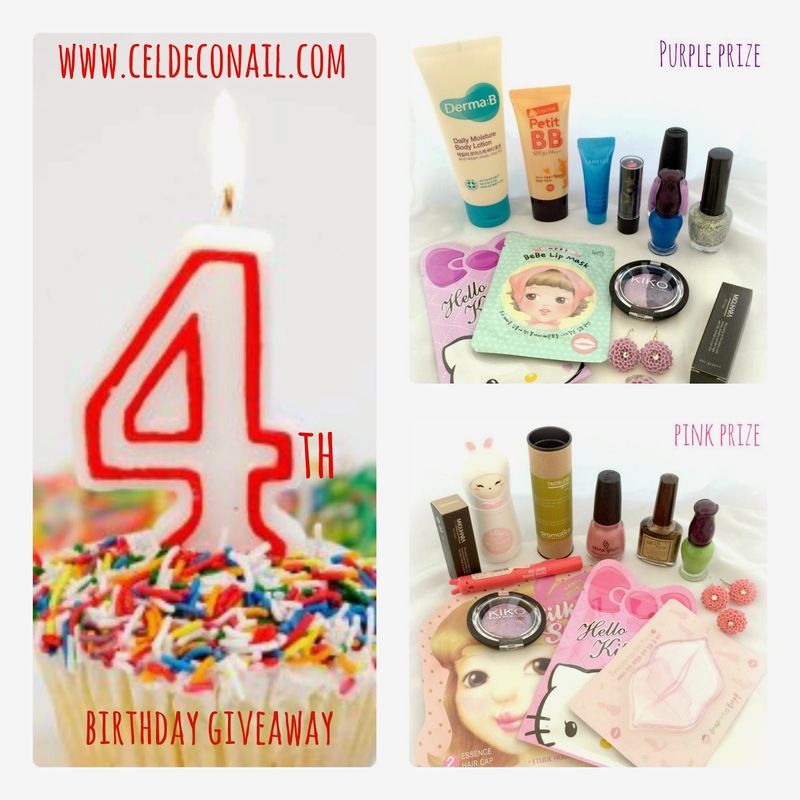 Giveaway, giveaway, let's celebrate my blog's 4th birthday! No birthday is fun without celebrations so I think it's time for another giveaway! 4 years is quite an important milestone both for my blog and my Etsy store Cel's Deconails that opened 4 years ago as well, so this time there will be two winners and two different prizes! A purple prize and a pink prize. Before I give you the rundown on each prize, here are the giveway terms and conditions. The giveaway is open internationally until June 20. There will be two winners and the first one to reply to my email will get to choose the prize they want. All the products in both prizes have been purchased or made (in the case of the jewelry sets) by me. 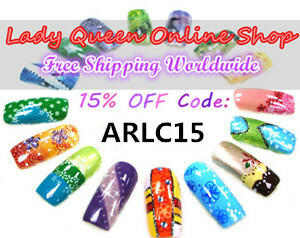 You can enter via the rafflecopter widget that you will find below. But first here are the prizes! super super οι επιλογές σου! Αχ πόσο θέλω το ροζάκι!!! Χρόνια πολλά πολλά σας εύχομαι! Great giveaway! Congrats for your four years!AriadnefromGreece! Wow, 4 years!! Congrats doll, happy blogiversary!! Congrats sweetie!thanks for the opportunity! Congratulations !!! Thank You For A Chance To Win In Your Awesome Giveaway !!! Best wishes for a happy blog birthday! Not to mention what a generous giveaway! Congratulations for your 4 years b!loganniversary! I m new on your blog and happy to follow you. Υπεροχα δωρα!!!!!! Χρονια πολλα κι ολα ομορφα γλυκα και δημιουργικα!!!! !